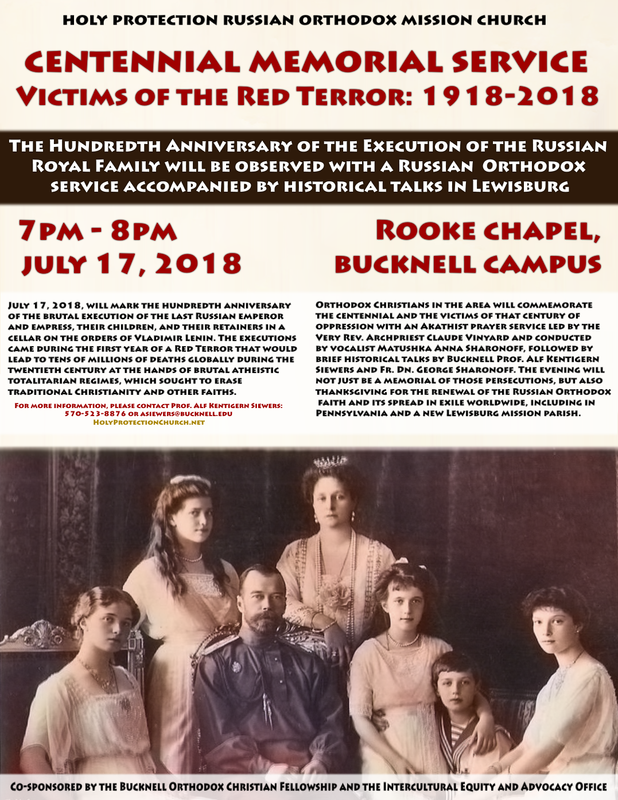 On Tuesday, July 17, Holy Protection Mission in Lewisburg, PA will be hosting a memorial event for the centennial of the deaths Holy Royal Martyrs of Russia. The event will take place in Rooke Chapel at Bucknell University at 7 o’clock in the evening. An akathist will be served in their honor, followed by two brief historical talks, remembering also all the victims of communism. More information on weekly services and other events is available on the mission website here.